Damn this is awesome. this has to be the one actual 3D print that I will actually use. Perfect for sanding my other 3D print on my desk. This looks really good, and I wish I could print it. The problem is the base is too big for my build plate. https://i.imgur.com/2UuEKo6.png I've tried rotating it etc, but I can't get it to fit. If you make an update in the future, would it be possible to somehow split this up into two parts? How exactly do you prevent the inner block from melting due friction?? I see different ways to tighten the sandpaper belt without putting load on the dremel. That's a minor issue. Hi Waldamore, ppl have asked me that before. The thing is that this isn't supposed to be used repeatedly to the point of heating the plastic stand. I think you're are more likely to burn your Dremel before heating the plastic that much. I honestly never experienced that much heat in the block, but again, I never used it continuously, I made it just to get me off the hook. Seeing how much ppl liked it, I'm trying to find time to build a better version for stronger devices like a drill, then I'll probably have to add a 1~1.5mm metal sheet under the sand belt. It looks very interesting. But I have one question: what about overheating? I think this device is not designed for such loads, the original equipment is always of very small diameter. I have an analogue of Dremel and when using a large tooling for grinding the device is very hot. It seems to me more appropriate to use some kind of drill or engraver as a motor. Yeah its a great way to burn your dremel. Look how the belt is set loose and how much it slows down when sanding a small detail. It just doesn't have enough power to run by itself, not even mentioning a proper sanding job. These dremels have high speed and low torque motors, and you need exactly opposite for such project. Drills and similar are also a bad choice unless you use some kind of gears to slow it down and give some more torque. Cordless drill on 1st gear should be fine. Or a proper brushless mains motor 1500/3000rpm. Also, proper metal bearings. Trust me you need them. I don't want to be mean, you have done a great job modelling it, but its pretty useless and will burn the motor very quickly and this had to be said. You are actually right, a drill is best. My Dremel does get hot and I have to turn it off from time to time or I could spoil it. I did learn a lot building it and was nice for the experience. Would be interesting to see a remix out there for universal devices. If I find the time, maybe I post an update or remix. Thanks! Your design looks great, and I'd love to add that to my toolbox, but sadly the "Base3000" file doesn't fit my Zortrax M200's 200x200mm bed. 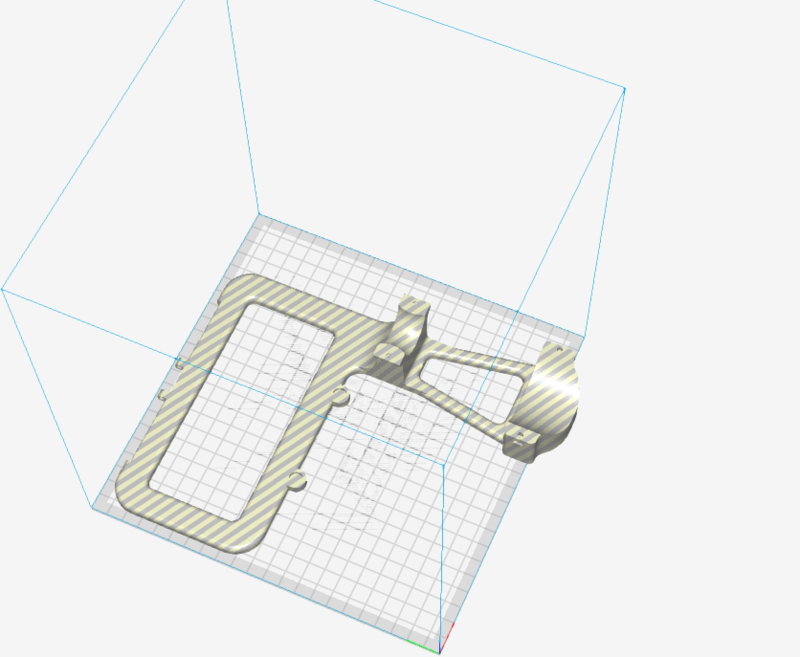 :-( I'd love to adapt it – sacrifying some belt width is OK for me – but I don't have access to Fusion360 anymore. Tweaking the STL files doesn't feel right, right ? Would you consider designing a slightly shrinked version of it for us Zortrax & Dremel users ? Hi Stephane, sorry for the late reply, I'm considering making an update or remix of a universal version for devices like drills and others and with smaller base to fit most of the printers. I just need to find the time. Thanks! can this one fit a 4000? or is there another thing for the 4000? You can download all the STLs normally, except for the base and one of the holders that you should see the files names. Youre the real MVP. Thanks man this is awesome. Will let you know how it turns out once I get through some of my printing backlog! Say thanks by giving Balthartur a tip and help them continue to share amazing Things with the Thingiverse community. Sand Belt Stand for Dremel 3000/4000 by Balthartur is licensed under the Creative Commons - Attribution - Share Alike license. Say thanks and help Balthartur continue to share amazing Things with the Thingiverse community. You'll need a PayPal account to tip Balthartur. Click the button below and you will be redirected to PayPal. Once the payment is complete, you'll be brought back to Thingiverse.